The anniversary is no doubt a special occasion that reminds a couple of all the sweet and sour moments they have shared. When it is the anniversary of your parents, you must have some lovely surprise gift ideas ready. Because they have invested their whole life in nurturing you. This is the best occasion to show them some love, care, respect, and gratitude. They would be pleased and overjoyed getting cute surprise gifts from you. So, never miss out on this opportunity to make them feel special. 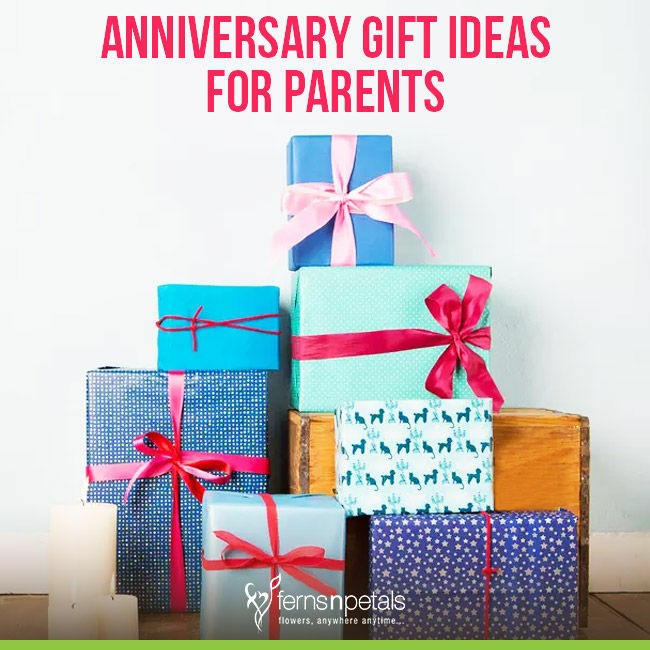 Check out some of the classic and special anniversary gift ideas for parents and greet them a healthy and happy life ahead. If your parents love wine, then, this set of personalized wine glasses would give them utmost joy. Wine is a wonderful drink that has major health benefits. The wise wine contains lots of antioxidants that fight against the free radicals and give you better health. Wine boosts the immune system and thus a glass of wine per day is a healthy option. Do you know that red wine has high levels of silicon that is great for bone mineral density? Thus, wine can also reduce the chances of osteoporosis. Just like a glass of warm milk, a glass of wine helps people to enjoy a sound sleep. Made from a premium quality glass material, longevity is assured. 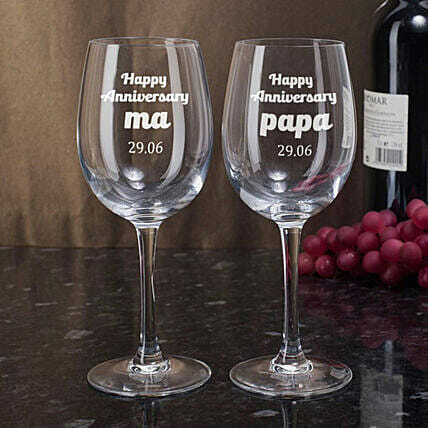 So, get the name of your mom and dad printed along with the date of an anniversary or opt for a nice message to personalize these glasses. The benefits of maintaining a garden or plant a tree are known to everyone. Especially, in the current scenario, when the AQI is going from bad to worse to severe, plants would be the best gifts for any occasion. On your parent’s anniversary, get them a set of 2 or 3 plants or a dish garden. Plants like syngonium, peace lily, areca palm, sansevieria, pothos, or snake plant remove harmful toxins from indoor air and are very easy to maintain. 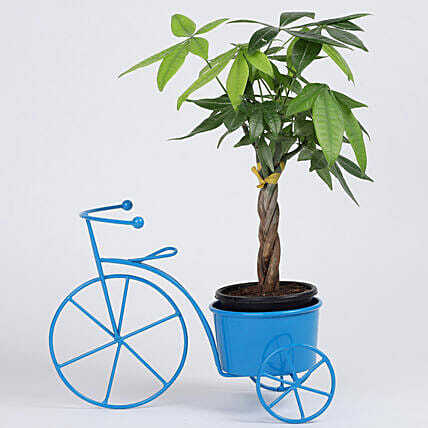 You can also opt for the good luck plants like a jade plant, money plant, or lucky bamboo plant for anniversary. There are plants like terrariums, bonsai, flowering plants, and cactus too which would add much beauty to a home. 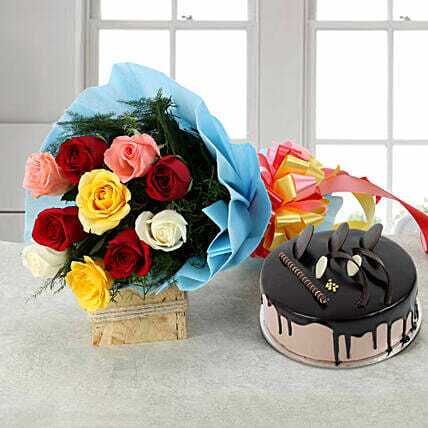 Just like the phrase mentioned above, a combo of flower and cake for anniversary can never be stale. This combo of gift would always spread love and express the right amount of care or respect to your loved ones. Thus, surprising your mom and dad right at midnight or early in the morning would be a fabulous idea. Choose the fresh flower bouquets of resplendent roses, charismatic chrysanthemums, lavish lilies, or sophisticated orchids. Then combine that with delicious cakes like red velvet, pineapple, butterscotch, coffee, vanilla, truffle, or mango flavors. You may opt for the heart-shaped cakes or tier cakes too! 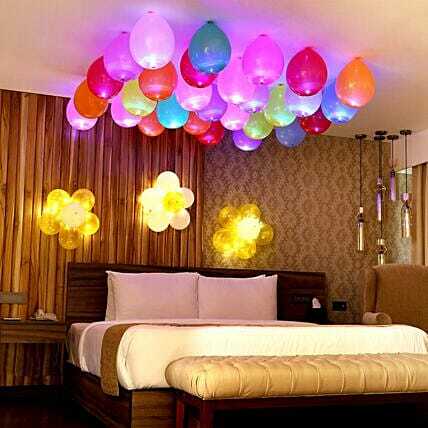 Special room decoration with LED Balloons can be done that would surprise your parents. There are few moments like a birthday or an anniversary which requires special treatment from the loved ones. On the anniversary of your parents, make them feel no less than a king or queen. After decorating their room or the home with adorable LED Balloons, you can throw a lovely party calling close relatives and old friends. Every couple loves to celebrate love and romance on their anniversary. Anniversary really makes them feel like a winner. In an age when relationships are breaking every now and then, they have made it all the way! The love story of your parents must have also seen some ups and downs but ignoring all that they are always there for each other. On their upcoming anniversary, let them enjoy some “alone time” away from the domestic chores, board meetings, childcare, loans, etc. 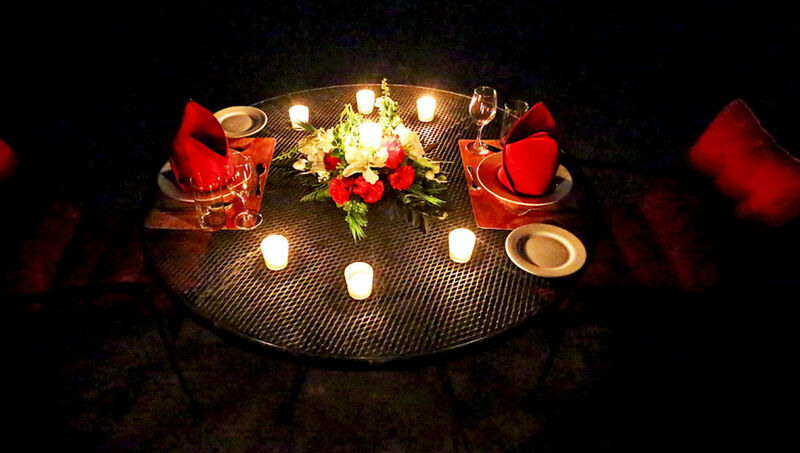 Arrange a candlelight dinner for them in some 5-star hotel. So, flatter and surprise your parents on the anniversary with this mesmerizing gift idea.